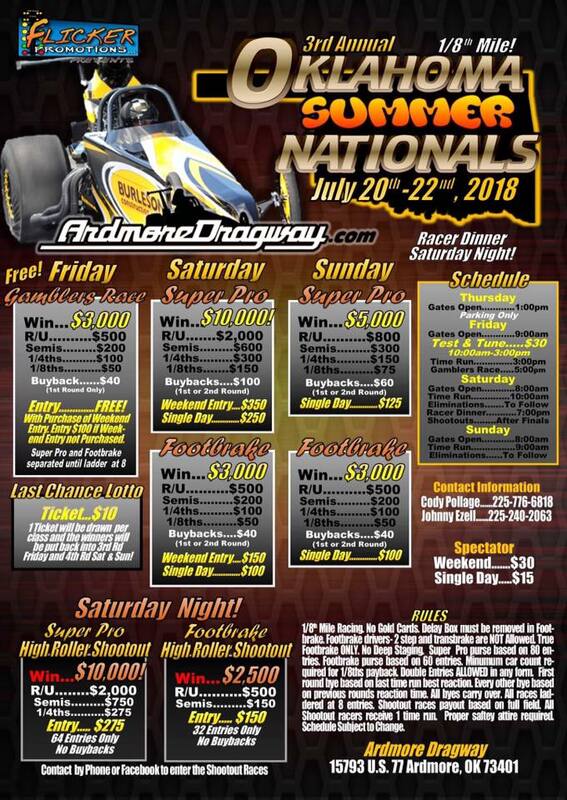 4 Featured Races this weekend. 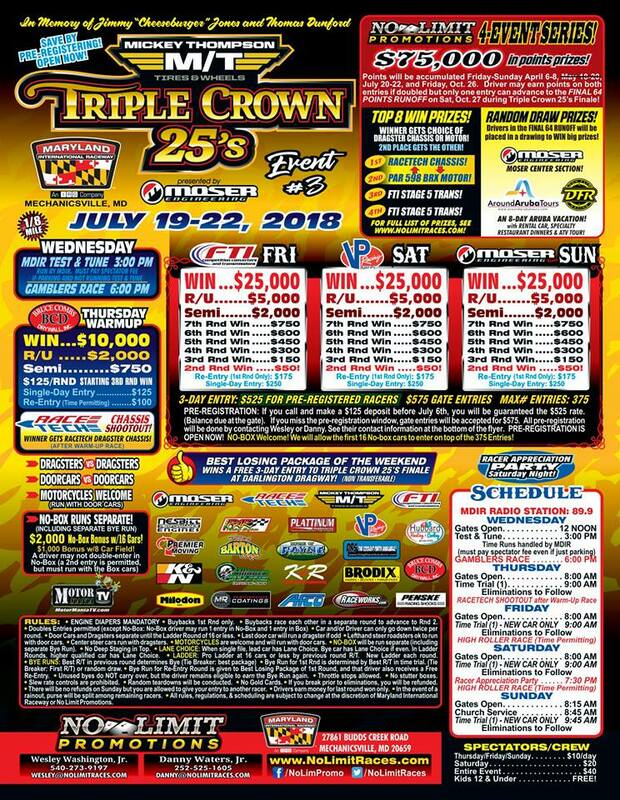 We lead off with the Oklahoma Summer Nationals in Ardmore, OK. 2nd on tap is the Triple Crown 25's in Mechanicsville, MD. 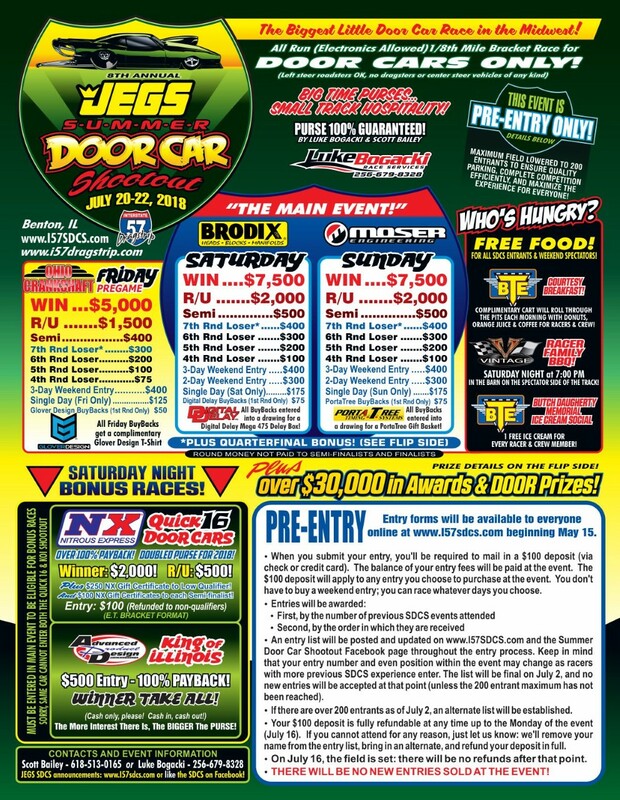 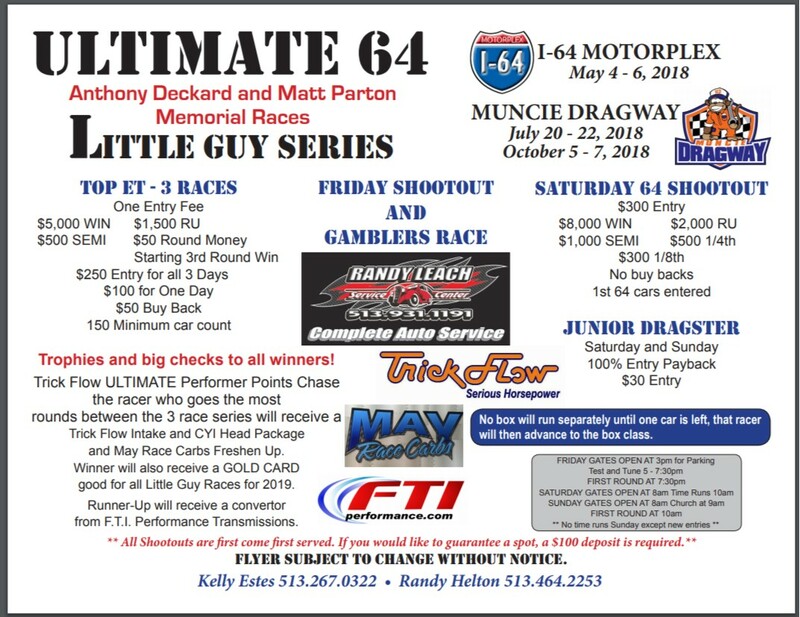 Next is the JEGS Summer Door Car Shootout in Benton, IL., and we finish up with the Ultimate 64 Little Guys Series in Muncie, IN.